A) the charge on it. B) the potential difference across it. C) the energy stored in it. D)More than one of these. 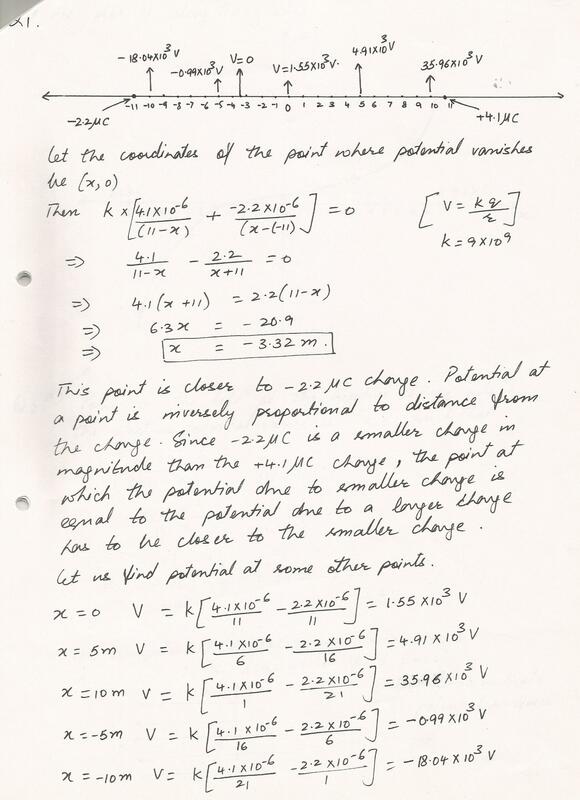 Three point charges are placed at the following (x,y) coordinates; charge+5.0x10-6Cat(0,0.7m0, charge+7.0x10-6Cat(0.9m,0), and charge-5.0x10-6Cat (0.9m,0.7m).Calculate the electrical potential at the origin due to these three point charges.Take the zero of potential to be at infinity. 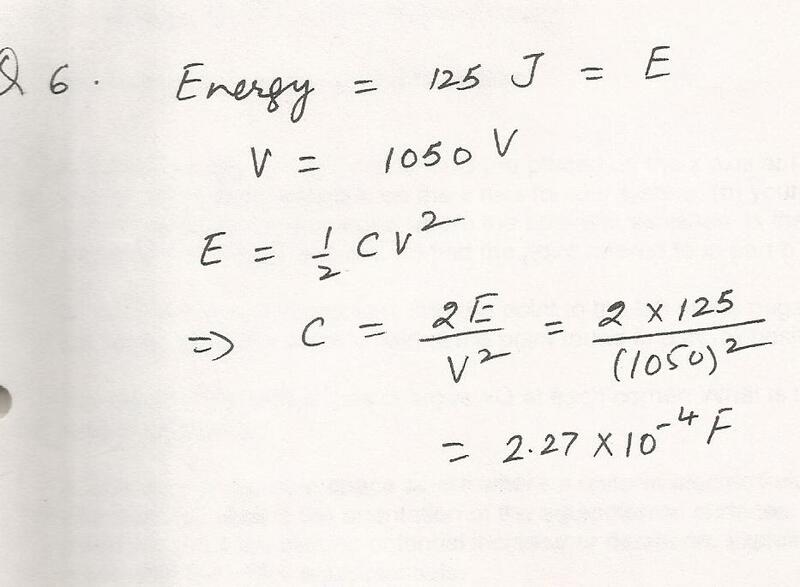 A proton with speed1.5x105 m/s falls through a potential difference of 100 volts,gaing speed.What is the speed reached? In Figure a cube of insulating material has one corner at the origin. Each side of the cube has length 0.020 m, so the top face of the cube is parallel to the xz-plane and is at y=0.02 m.It is observed that there is an electric field E=(7960 N/C.m)y j, that is in the+y direction and whose magnitude depends only on y. use Gauss,s Law to calculate the net charge enclosed by the cube. B) every point throughout the entire conductor will be at zero potential. D) the electric field inside the conductor need not be zero if the conductor is hollow. E) the surface charge density will be greatest where the conductor is flat and smallest where there are sharp protuberances or points. An automatic external defibrillator delivers 125 J of energy at a voltage of 1050 V. What is the capacitance of this device. A parallel plate capacitor has plates of an area of area.0066 m squared and a separation of.45 mm. (a)Find the magnitude of the charge on each plate when the capacitor is connected to a 12-V battery. (b) will your answer to part (a) increase ,decrease,or stay the same if the separation between the plates is increased. explain. 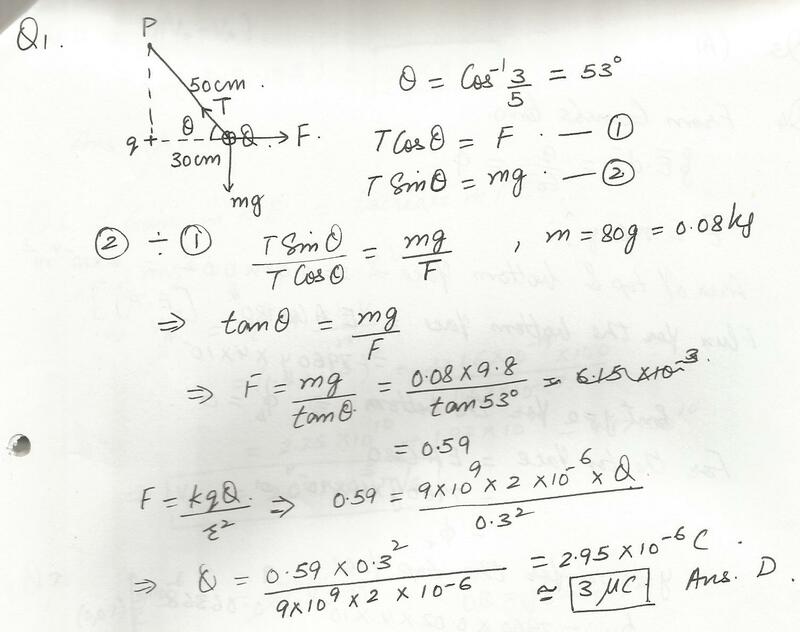 (c) calculate the magnitude of the charge on the plates if the separation is .90 mm. 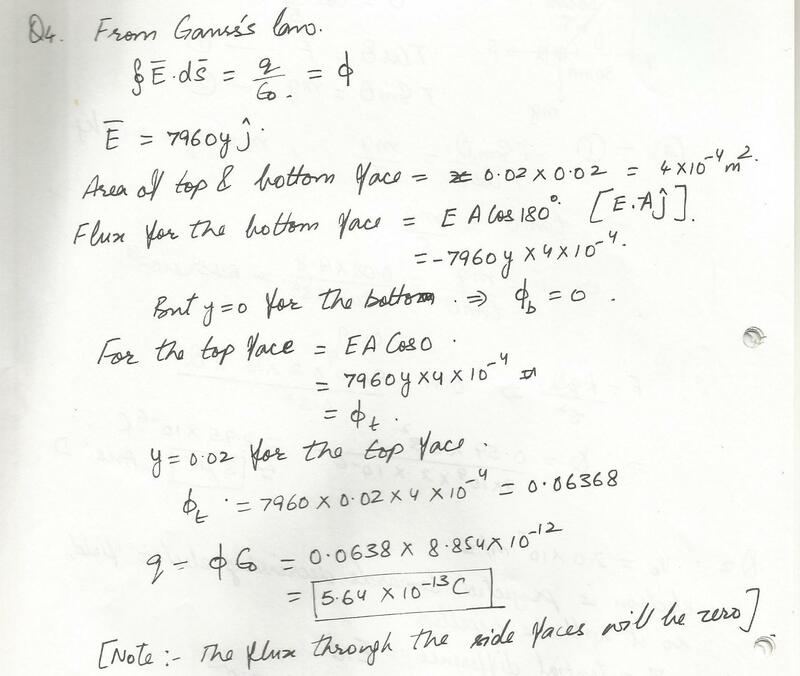 Consider a region in space where where a uniform electric field E=7500 n/c points in the negative x direction. (a) what is the orientaion of the equipotential surfaces. 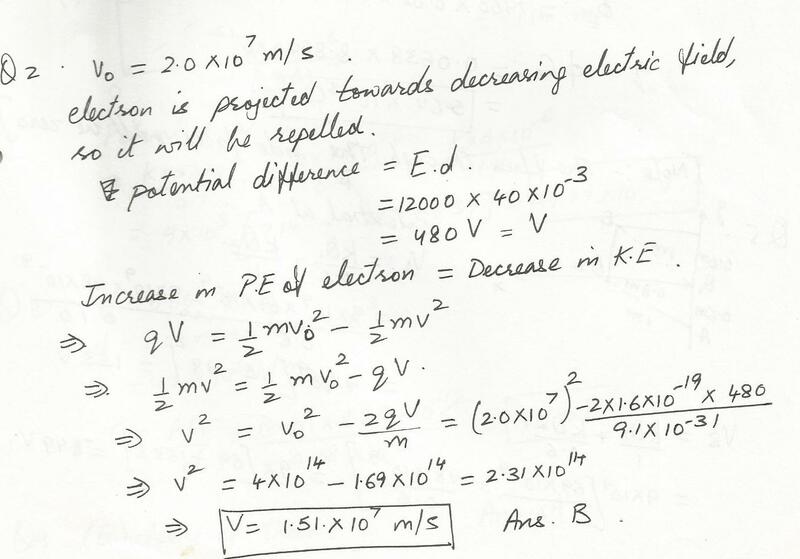 (b) if you move in the positive x direction, does the electric potential increase or decreas. explain. 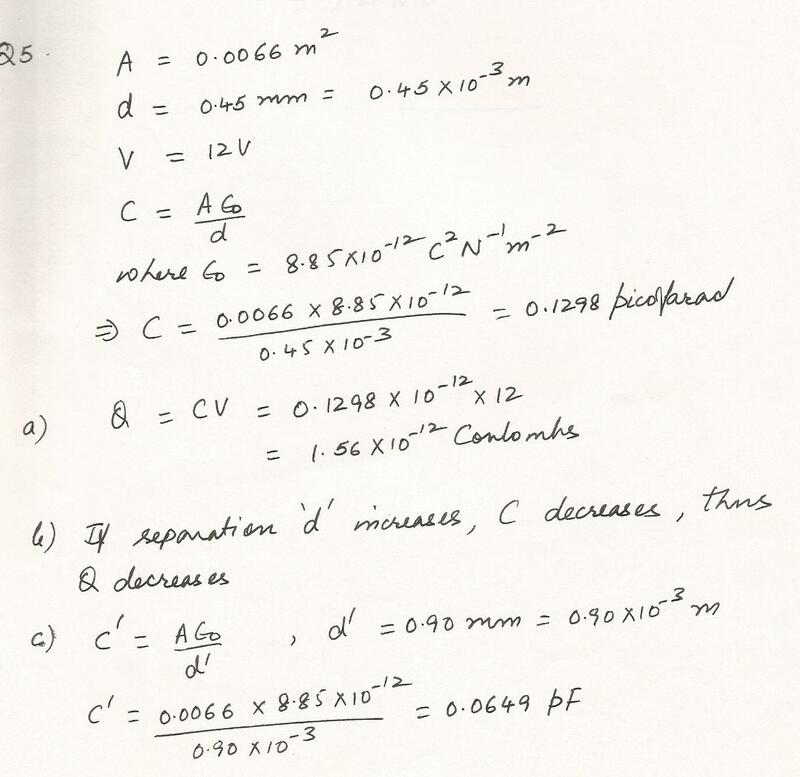 (c) what is the distance between the +14-v and the +16-v equipotenentials. 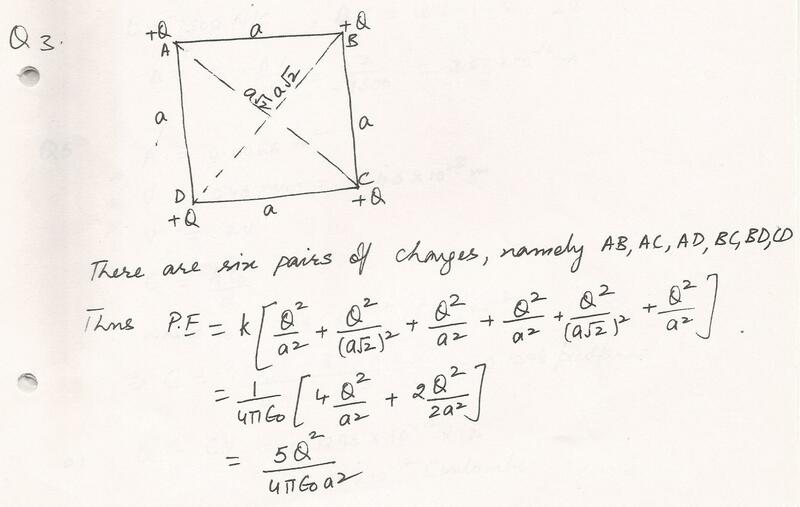 A square of a side a has charges+Q at each corner. What is the electric potential energy of this system of charges. 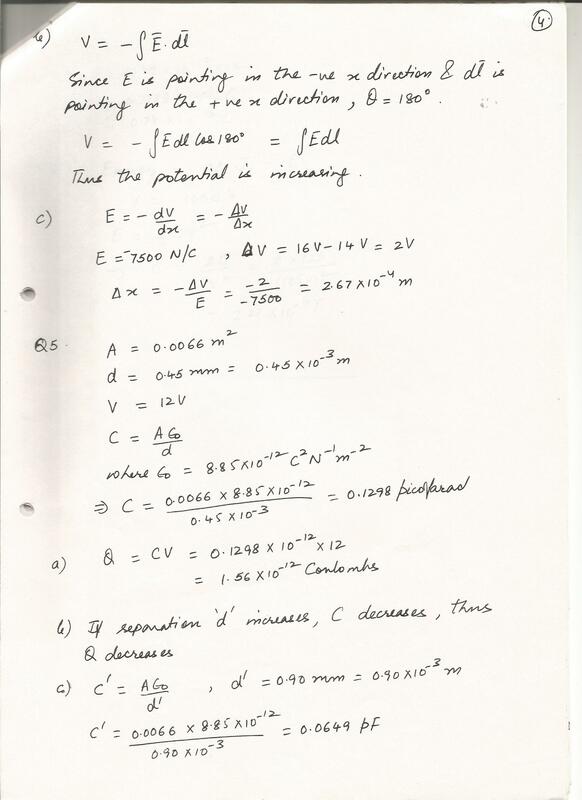 A positive charge of 2*10^-6 coul experience of 06 newton when placed at a point in an electric field. The strength of the field at that point in newton/coul is? Displaying 1-15 of 453 results.